A Chinese American female explores and reconstructs her journey from girlhood to womanhood, piecing information from two generations of memories to weave the life and legacy of the paternal grandmother whom she has never personally met. Each drop of dialogue, spoken and unspoken, contribute to the living legacy of this female ancestor through the present form or existence of the granddaughter. 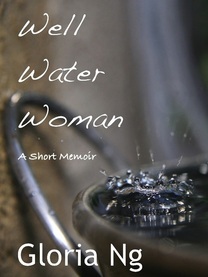 This short memoir explores the inner workings of spirit through the cycle of birth, life, death, and eternity.